Once there was a time when a volcanic eruption is considered to be a curse of God. By active volcanoes, we mean the volcanoes which are erupting or have erupted in modern times. The volcanoes live thousands of years and in that lifetime they erupt many times, however, even they are active some of them dont erupt in human lifespan. The sign of an active volcano includes unusual earthquake activity or significant new gas emissions. There are approximately 1,500 volcanoes that are active today and approximately 500 million people live near active volcanoes. The barren volcano is situated on the Andaman Sea and lies about 138 km northeast of the territory’s capital Port Blair. The only active volcano in the chain from Sumatra to Myanmar and also the only active volcano in India. Barren Island is a part of the Indian Union Territory of Andaman and Nicobar Islands and quite popular for it’s as a Submarine emergent Volcano that lies in the subduction zone of India and Burmese plate. The Barren Island volcano again started erupting in the year 2018 and many people from the world started to come to the island for the life experience. The area as the name suggests is a barren area uninhabited by humans and has a small population of goats in the area. Also, some species of birds, bats like flying foxes and few rodents are able to survive in these conditions. The volcanic peak situated in the Cordillera Central of the Andes of central Ecuador is at a height of 19,393 feet and listed among the world’s highest volcanoes. The shape of the volcano looks like a symmetrical cone-shaped and have a long record of a violent eruption in 1744, 1768, 1877, and 1904 years. The most violent was 1877 where it is known for its volcanic mudflows that travelled 60 miles to meet the Pacific Ocean to the west and the Amazon River basin to the east. Also, 1904 was also violent one, however, minor eruptions took place in 1940 and 2015 and the volcano is listed among the most active volcanoes in the world. The terrain of the volcano has been devasted by the earthquakes many times and later ash blown out of the crater. The mountain has been built by the alternating flows of dark-coloured trachytic lava and falls of lighter-coloured ash. The diameter if the crater is 2,300 feet, measured from north to south and 1,650 feet, measured from east to west. The total depth is 1,200 feet and the base stands on open mountain grassland, however, the whole upper part of the mountain is covered with snow. The volcano has been located in southern Colombia with its border closed with Ecuador. The eastern side of the volcano has the city of Pasto with 450,000 inhabitants. The most recent eruption has occurred on 2nd January 2010 and ash can be seen to a height of 12 km and hot lava fell 3.5 km from the volcano and started fires. The year 2009 also seen an eruption where ash flumes can be seen at Galeras volcano between 14-27 January 2009. The ash reached the maximum height of 6 km above sea level and approximately 8000 people were evacuated from around the volcano after an explosive eruption of Galeras on 14th February 2009. One of the most active volcanoes has seen eruption approximately from every year right from 1989, 1993, 2000, 2002, 2004, 2005 2006, 2008, 2009 & 2010. Almost all the eruption of Galeras Volcano is short and violent. Two small eruptions occur after every seven years of quiet at Galeras volcano. The first eruption has been recorded in on 21st March and the second eruption on 5th April with eruptions was preceded by tornillo earthquakes. One of the most active volcanoes, the Glacier Peak located in the Cascade Range of Washington. The volcano is surrounded by approximately a dozen glaciers and hence the name. The top of the ridges has been covered by the lava flows. Also, small basaltic flows and cones can be found around the sides of Glacier Peak. The dacite domes can be seen positioned high on the north and south sides of the volcano and warm grounds and areas without snow surround these domes. The volcano is clearly visible from the west in Seattle and from the north in the higher areas of eastern suburbs of Vancouver such as Coquitlam, New Westminster and Port Coquitlam. The fourth tallest peak in Washington state is also one of the most active of Washington’s volcanoes and it is believed that the volcano has been formed one million years ago and it has produced some of the most explosive eruptions in the state. The Kelud is an active volcano located in East Java, Indonesia and like many volcanoes in Indonesia, it is one of the large explosive and active volcanoes in the world. According to wikipedia, there are approximately 30 eruptions have occurred since 1000 AD. One explosion occurs in 2007 where an effusive explosion filled the crater with a lava dome. Later, it was erupted on February 13, 2014, destroying over the lava dome and ejecting boulders. The most violent volcanic eruption is on May 19 in the year 1919 where it is killed approximately 5,000 people because of its hot mudflows are also known as lahars and the most recent eruption was in 1951, 1966, and 1990 have altogether killed another 250 people. It also erupted on February 13, 2014, where eruption occurred at 22:50 local time (UT+7). The eruption prompted about 76,000 inhabitants to evacuate their homes. One of the active volcanoes in the Hawaiian Islands and the most active among all the five volcanoes of Hawaii. The volcano is located along the southern shore of the island and it is believed to be 300,000 and 600,000 years old and emerged above sea level approximately above sea level about 100,000 years ago. It has erupted continuously between 1983 to 2018 causing considerable property damage that includes the damage of Kalapana in 1990 and the destruction of Vacationland Hawaii in 2018 and hence it is considered as one of the most active volcanoes in the world. On May 17, 2018, at 4:17 AM, the volcano erupted in Halemaumau Crater and throws away approximately 30,000 feet into the air. The most popular tourist spot Kīlauea section of Hawaii Volcanoes National Park remains closed for a month because of this activity. Lava also filled Kapoho Bay and extended new land nearly a mile into the sea and the County of Hawaii reported that 716 dwellings were destroyed by lava. Additionally known as Pahto or Klickitat by some native Americans is an active volcano located in the Cascade Range. Though it is still active it has not erupted in more than 1,000 years and still, it is not extinct. The second highest mountain in Washington just after Mount Rainier is a member of the Cascade Volcanic Arc and it is one of the largest arc’s volcanoes in the world. The eastern side of the volcano comes under the Yakama Nation, however, the western part consists of the Mount Adams Wilderness. The broad body and asymmetrical of the volcano rises from 1.5 miles (2.4 km) above the Cascade crest. The flat summit was formed as a result of cone-building eruptions from separated vents. Sometimes, air travellers flying above the route confuse Mount Adams with nearby Mount Rainier which has a similar shape. The volcano stands tall at37 miles east Mount St. Helens and about 50 miles south of Mount Rainier. Related: How Do Volcanic Eruptions Generate Tsunamis? The potentially active volcano located in the Cascade Volcanic Arc of northern Oregon and formed by a subduction zone on the Pacific coast and rests in the Pacific Northwest region of the United States. The volcano is 80 km east-southeast of Portland on the border r between Clackamas and Hood River counties. Oregon’s highest mountain is also one of the loftiest mountains in the nation based on its prominence. The summit area consists of several andesitic or dacitic lava domes that produce avalanches and lahars or rapidly moving mudflows travelled across the Columbia River to the north. It has four major eruptive periods during the past 15,000 years and three eruptions in the past 1,800 years from vents high on the southwest flank and produced deposits that were distributed primarily to the south and west along the Sandy and Zigzag rivers. Also known as Mount Mayon is an active stratovolcano situated in the province of Albay in the Bicol Region. 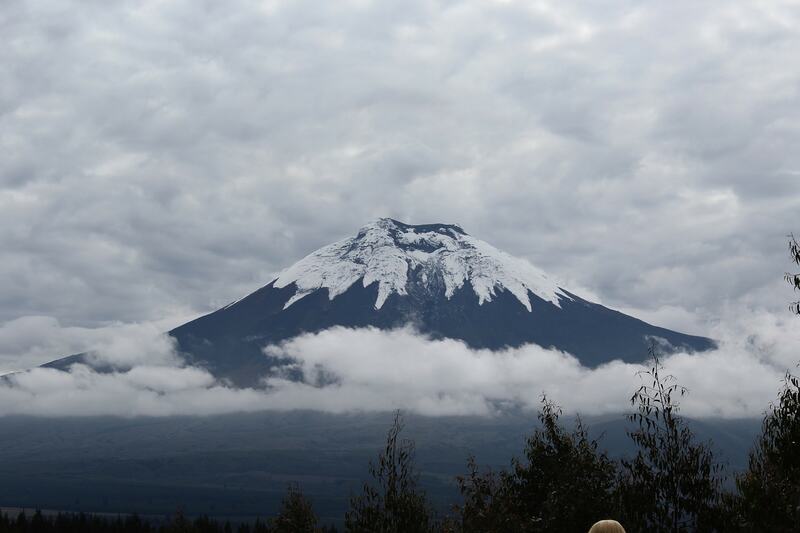 It is also popular as a “perfect cone” because of the symmetrical shape of the volcano and because of its amazing landscape around the volcano, it was declared as a national park on July 20, 1938. Later, the park was renamed as the Mayon Volcano Natural Park in 2000. One of the most active volcanoes has been renamed after the legendary princess-heroine Daragang Magayon. There are various rituals and festivals associated with the volcano and its landscape and it is a centrepiece of the Albay Biosphere Reserve. The site was declared UNESCO heritage site in the year 2016. The highest point of the province of Albay and the whole Bicol Region in the Philippines with a height of 2,462 metres from the shores of the Albay Gulf about 10 kilometres away. The Mount Merapi meaning Fire Mountain in Indonesian and Javanese is an active stratovolcano situated on the border between Central Java and Yogyakarta provinces, Indonesia. It is the most active volcano in Indonesia and has erupted regularly since 1548. The volcano is located 28 kilometres north of Yogyakarta city that has a population of 2.4 million and even thousands of people even live on the flanks of the volcano and all villages are as high as 1,700 metres above sea level. On 25th October, the Indonesian government raised the alert for Mount Merapi and asked people to move towards the alert for Mount Merapi to its highest level and asked them, villagers, to move towards the safer ground. The pyroclastic flows from teh volcano killed over 27 people on 22 November 1994 and mostly from the town of Muntilan, west of the volcano. Another eruption happened in 2006, just before the Yogyakarta earthquake. These are the 10 dangerous active volcanoes in the world. Do post your comments.